GERALD GIPSON retired after 42 years of teaching instrumental music. Mr. Gipson holds Bachelor and Master of Music Education Degrees from the University of Missouri at Kansas City Conservatory of Music and has studied conducting with Dr. Craig Fuchs at Pittsburg State University. He is a member of the Music Educators National Conference, Kansas Music Educators Association, Kansas Bandmasters Association, and National Education Association. Mr. Gipson has served as both middle level band and middle level orchestra chair for the Northeast District of KMEA and was named “Middle Level Band Teacher of the Year” for 2004-2005. In 2006 he was the Oxford Middle School nominee for Kansas Teacher of the Year. Mr. Gipson is a founder and member of the executive committee of the John Philip Sousa Kansas Junior Honor Band and is co-conductor of the Olathe Area Youth Symphony Philharmonic Orchestra. Since 1995, he has been a frequent guest conductor at the Midwestern Music Camp. Bands under the direction of Mr. Gipson have appeared on the Kansas Music Educators State In-Service Workshop on six occasions. The Oxford Middle School Eighth Grade Symphonic Band performs frequently at local and regional festivals where they consistently earn superior ratings. 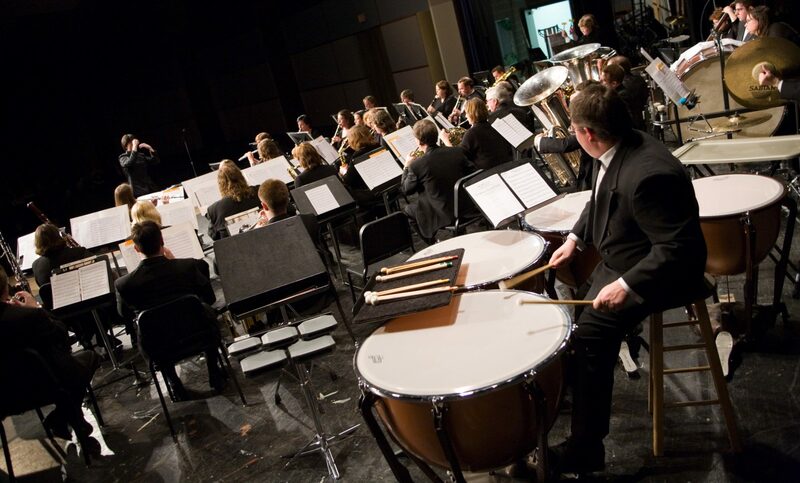 The Oxford Middle School Eighth Grade Symphonic Band performed at the concert dedicated to George Farmer’s music during Midwest Winds’ fifth concert season in March 2007.